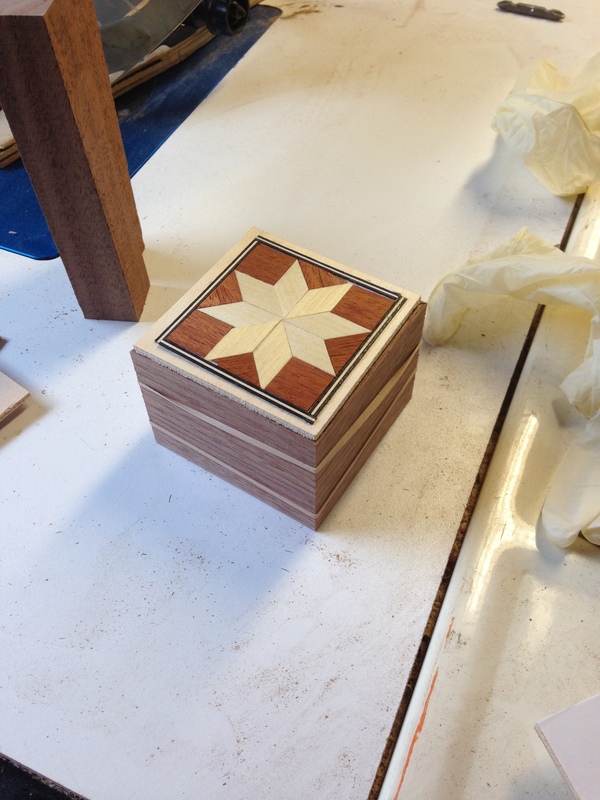 A few months ago, I had the opportunity to conduct a three session course in woodworking and Islamic geometric wood inlay. 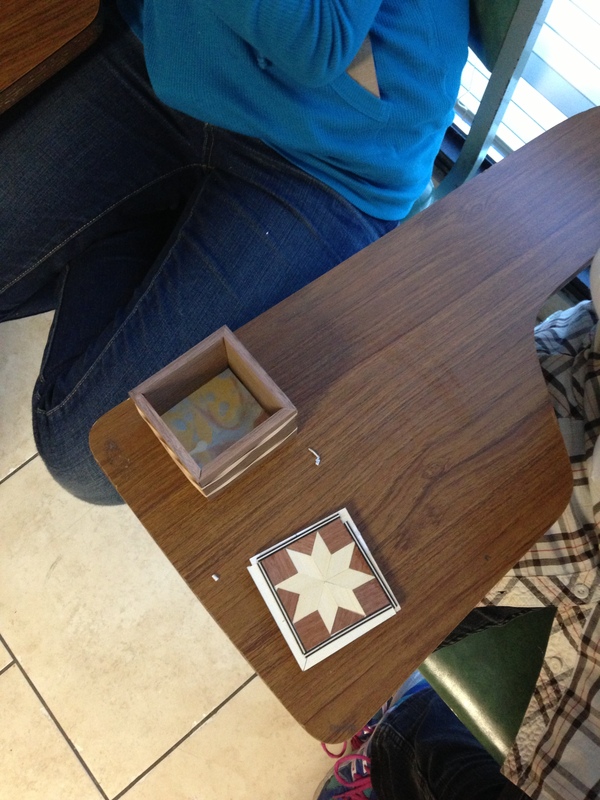 Taught at an after-school Islamic center in Manassas, the kids learned how to make an inlaid wood box with an Islamic geometric pattern and marbled paper interior, which they cut and assembled. 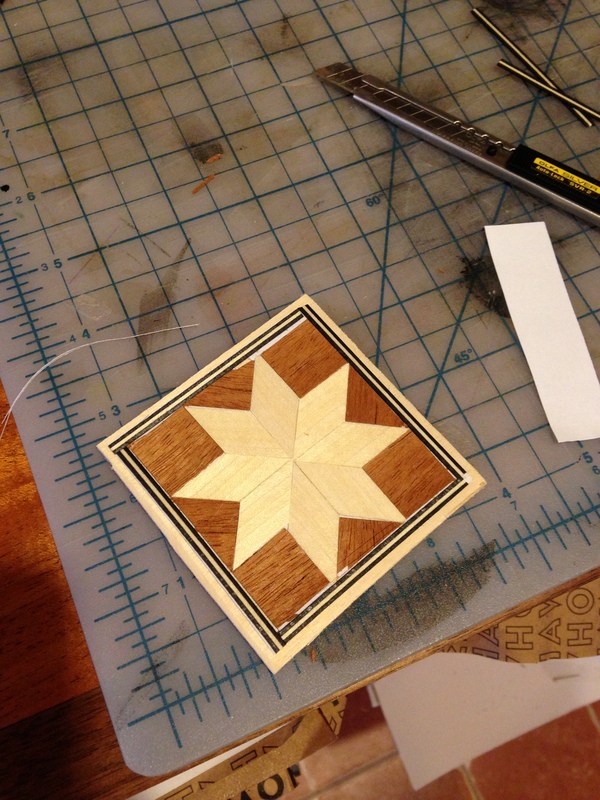 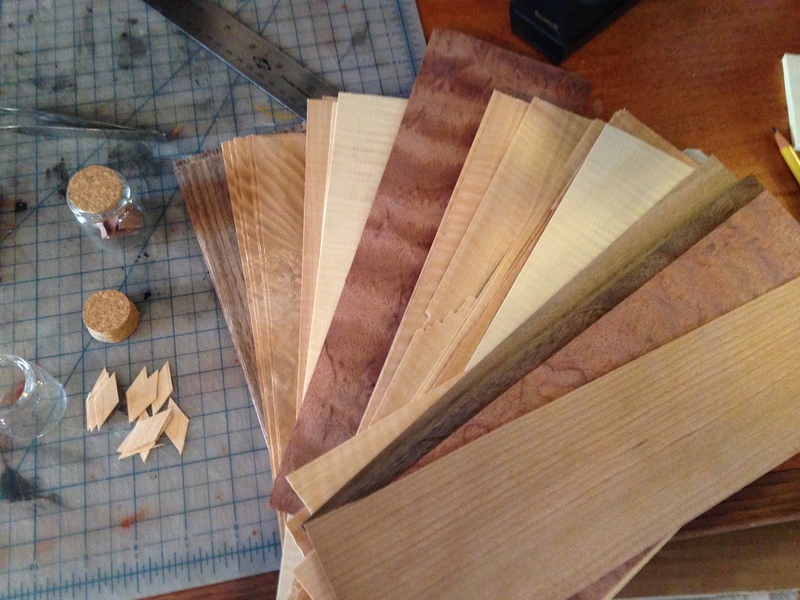 Once the pieces are cut and an edge banding has been chosen, we assemble the inlay on a piece of 1/8″ plywood with an adhesive backing on which the tiles are stuck. 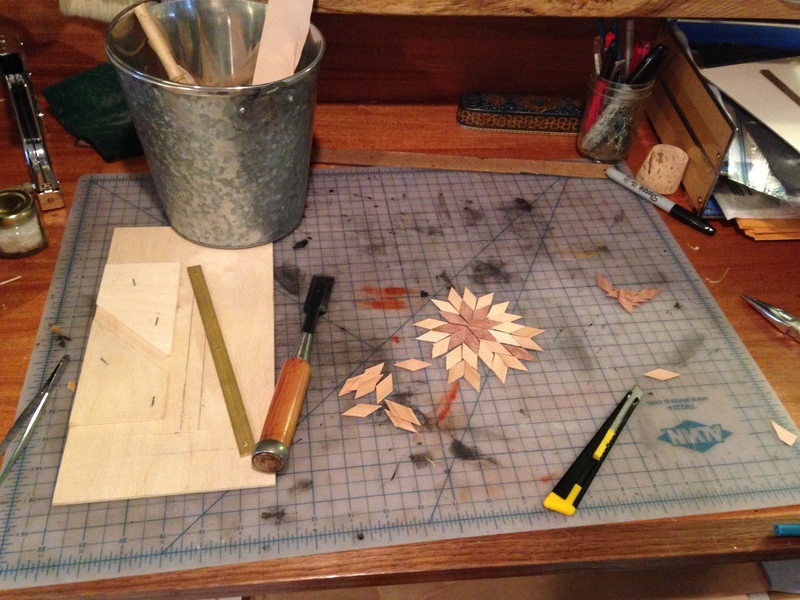 A mitered walnut box is glued with rubber bands, and the interior bottom is covered with hand-marbled papers.